The Golden State Warriors have won an NBA champsionship. The San Francisco Giants have won three World Series. And the San Francisco 49ers have won five Super Bowls. Even the scrappy Oakland A's won their share of World Series back in the 1970s and 1980s and were featured in the film, "Moneyball," as a hardscrabble, underdog team. 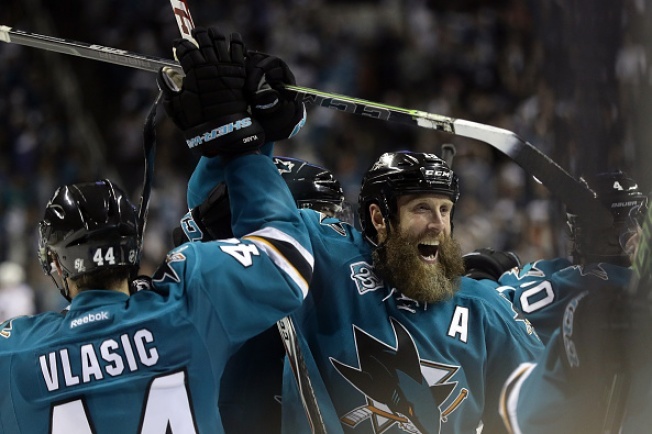 And now, the Bay Area sports community is honoring the San Jose Sharks, the under-the-radar National Hockey League team who made to the Stanley Cup Final on Wednesday night, the first such feat in the franchise's 25-year-history. All sorts of professional athletes chimed in to congratulate the Sharks, using the hashtag #BayAreaUnite, including Warriors' hero Steph Curry, who smiled with a Sharks bobblehead of himself after the win. Congrats to the @SanJoseSharks on advancing to the Stanley Cup Finals! Let's go!! !